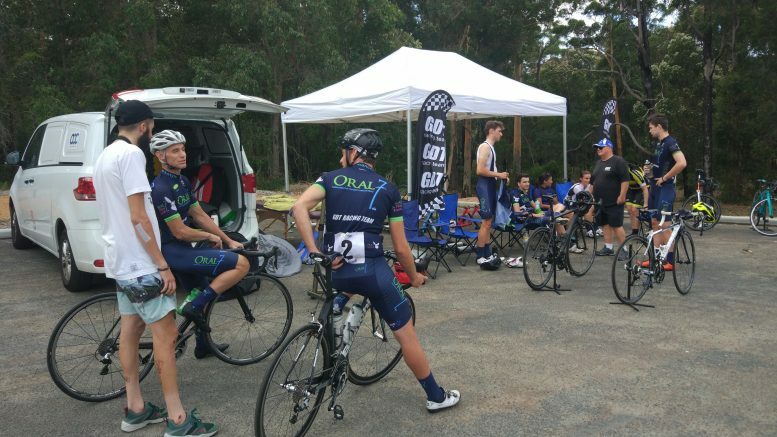 Over the long weekend, Oral7 GDT sent a strong contingent down to Australia’s beautiful Southwest for the Pemberton classic. 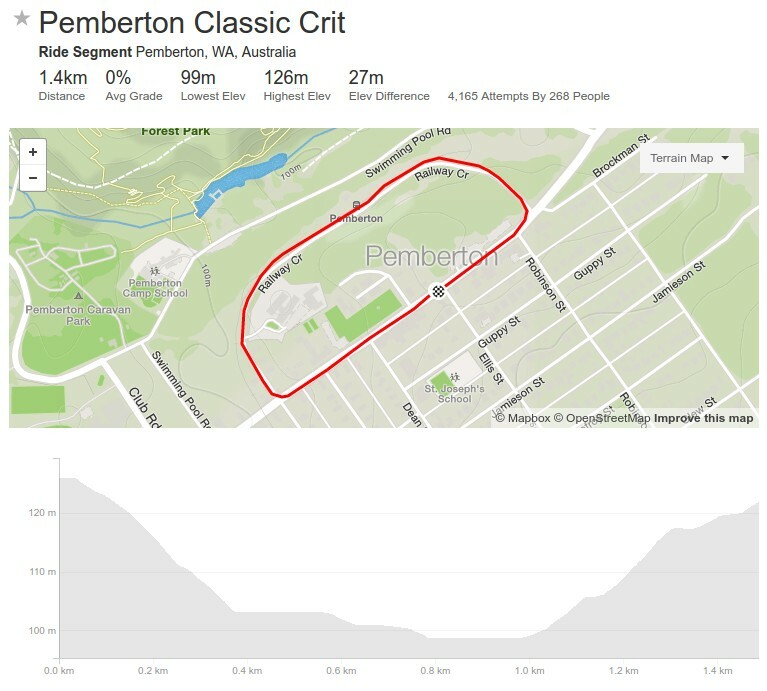 The Pemberton Classic is run over two days, the first day is a furious twilight criterium with a nasty uphill section. Second day is a 105km, 3 circuit road race on an undulating course, a power climb at the start of every lap. The criterium was breakneck. The circuit starts on a quick downhill into a hard right. If you apex too wide then your exit will cross the centreline of the road and you’ll end up on the outward camber which will send you into the conveniently located mattresses. The back side of the course is wide but bumpy. Just before the second turn of the circuit the course points up and it becomes a grind back to the finish line. Strava clocks 27m elevation gain per lap which is certainly tough for a criterium. The pace was on from the gun. Lulls with no attacks were rare and were used to consolidate team positions, only in preparation for the next launch. My role for the day was to counter dangerous moves and keep an eye on the pace to reel back any move getting too much time. This was quite enlightening, some riders took me the limit just to grab a draft. The riding was mostly of a high calibre. I did have 4 sketchy moments with the one rider, 3 bar tangles and a pedal strike. If you know who you are, everyone clips a pedal now and then so that’s water under the bridge but if you’re going to contact someone for a wheel then don’t do it in a way prone to take out the bunch – you’re forgiven. Ultimately the attacks were futile and it came to a bunch sprint, being won by Drapac-Pat’s Veg rider Theo Yates, with two Satalyst riders following then our team hero Joseph Breheny. The road race was much more interesting for me. Naturally the pace was high over Pump Hill right off the start line. I worked forward in the bunch to avoid being split, settled until we hit the flat and then worked my way up to prime position. I bridged an attack and there were a few shuffles of the deck. 3 successive attacks had myself clear with Bryce Lannigan (Satalyst) and Connor Lambert (Veris. We settled in and consolidated. Briefly backing off to allow Henry Pennell (Satalyst), Luke Pledger and Matt Peterson (Wormall) to bridge. All of these guys are known to have an engine and now the 4 major teams are represented so I’m feeling good in the breakaway selection, although I’m outnumbered. 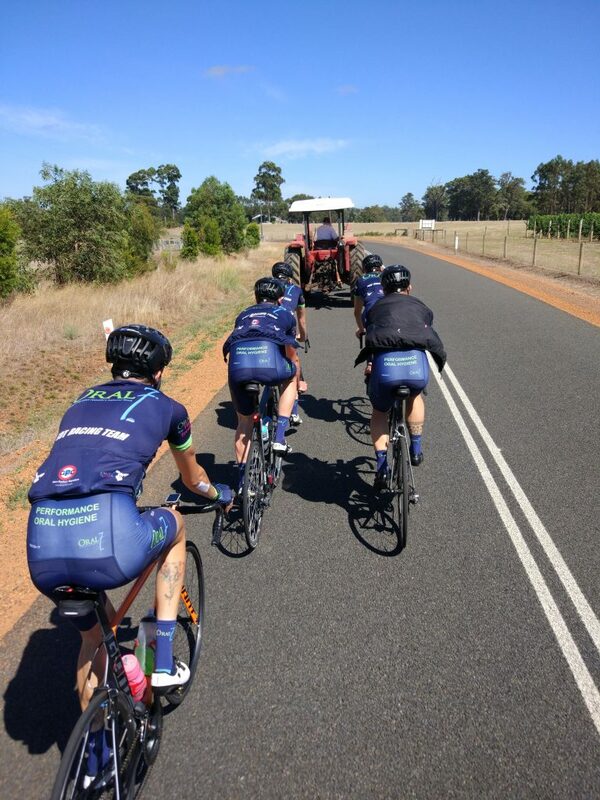 We rolled quite functionally for a while, until we hit the crosswinds. Bryce and Luke missed some turns (nothing personal) so I would sit up each time I spotted this, given I have no team mate in the break. We still had a good distance so it wasn’t too huge a concern – yet. I’d expected with the composition of the break we’d be allowed some serious leash. A breakaway is liable to win out on this course, so I thought as long as we kept rolling turns we’d have at least another 30km before we saw anyone other than a small group of riders bridging. Turns out that was very wrong. At about 30km into the first lap a split of about 20 riders cainteresting for me. Naturally the pace was high over Pump Hill right off the start line. I worked forward in the bunch to avoid being split, settled until we hit the flat and then worked my way up to prime position. I bridged an attack and there were a few shuffles of the deck. 3 successive attacks had myself clear withme speeding onto us. Yesterday’s winner, Theo and some other contenders had been split so my team had decided to drive a wedge between the two halves of the bunch. Full credit to them, it worked well but it was unfortunate for me. As the bunch came onto us they sat up and subsequently some riders attacked and I was gapped in the shake up. Off the back with Luke and another of his team mates, we managed to chase back on through the descent into Pemberton with a few manoeuvres that I won’t describe for fear of incriminating myself and accomplices. This wasn’t my day. As soon as the pressure went on up Pump Hill for the second lap, I couldn’t retain contact due to the onset of cramping. I let the elastic go and watched the front group power away. 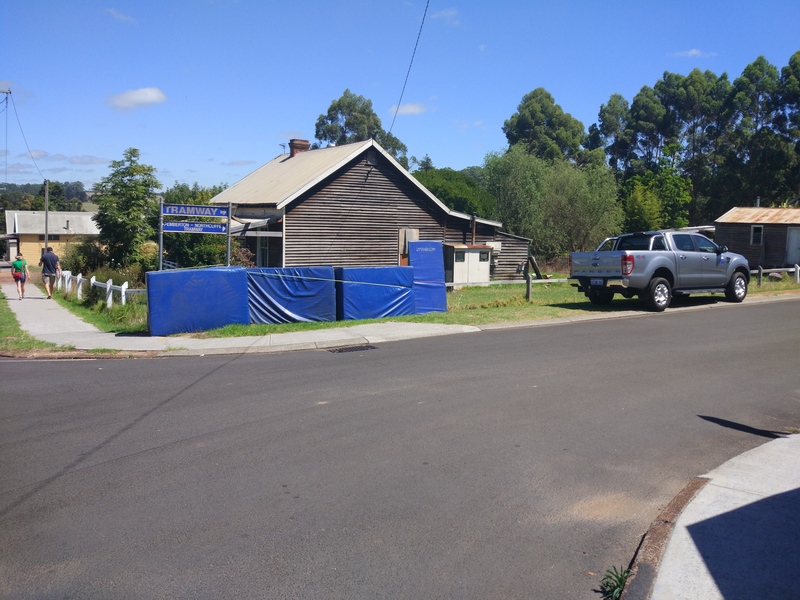 I spent the next 20m in no mans land before being rounded up by Lewis McCrea and Tim Sellar (Satalyst), Justin Ghosh (Veris) and my team mate Ryan Miller. They were trying to bridge the front group. I rolled turns with them for about 10-15km before the onset of more cramps. I’d eventually drift back into the last group on the road. I rolled around to Pump Hill for the start of the final lap and turned around 100m up it, again frustrated by cramps. I rolled my legs out a bit then returned to our team marquee for a chat and to spectate the race finish. I’m somewhat glad I did as I was able to watch Seb Barrett grab his first win in the U17s race. He’s going to be seriously dangerous once he gets off his restricted gearing. On the third lap, some attacks had gone down and a breakaway succeeded. Joe managed to make the breakaway and sprinted to third after being boxed. It’s a good start to the road season and I’m glad I could play an indirect role in the setup. Well done Joe and congratulations to Connor for the win. Be the first to comment on "Pemberton Classic Race Report"